Crescent Moon Pay What You Want! 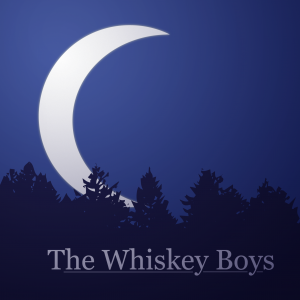 The Crescent Moon is rising and The Whiskey Boys are back again with their second album and songs about rebellion, heartbreak, war, betrayal, whiskey, banjos, and murder most foul. “Crescent Moon” marks the Boys’ second studio album and this time Mark and David are joined by Kyle Tuttle on Banjo, Josh Dayton on upright bass, Shawn Crowder on drums, and Adam Neely on bass.